Welcome back to Enuffa.com's PPV Predictions. 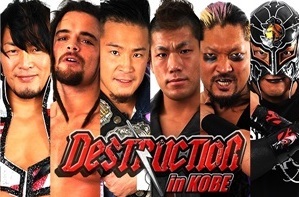 The third show in the Destruction series doesn't appear as strong overall as Hiroshima, but it does have the biggest main event of the three (which is literally the only singles match on this card). This is your basic warmup match, with an established CHAOS trio tuning up on three Young Lions. Won't be very long I'm sure, likely in the 7-minute range. Another throwaway-type match to give The Hunter Club a spot on the card. Win or lose they're still the weakest faction in the company. The prelims continue with this six-man which should have some decent exchanges but doesn't have much on the line. Shibata's out with a spine injury, which hopefully isn't too serious, as the Tokyo show made it pretty clear a Shibata-O'Reilly match is on the horizon. Nagata's old pal Nakanishi is subbing in here, which likely knocks the match quality down a peg or two. Should still be decent though. 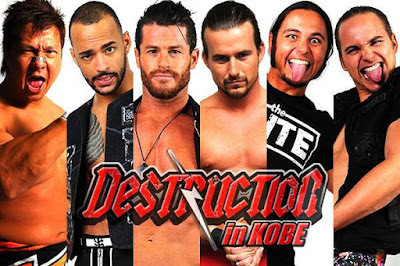 This one should be gallons of fun, between the Jacksons vs. Sydal & Ricochet action and Cole's character work. These six-man belts have been a hot potato since their inception so you kinda always have to go with the challengers in this situation. I like this eight-man matchup. There should be a ton of brutally stiff action and nary a dull moment. Great to see that Goto & Ishii are teaming up a third time, further establishing them as hopeful Tag Title contenders. The Bullet Club team has the weakest link in the match (two of them really), so that's likely who's getting pinned. LIJ (minus their leader) taking on Team Good Guys once again. The real matchup between representatives of these two stables is later, so this is a warmup. I'll go with the babyfaces to win here. 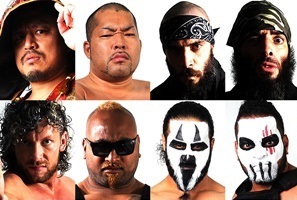 The NJPW vs. NOAH rivalry is heating back up, as each company's champion leads a squad. 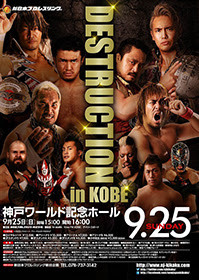 This is obviously to help build the Okada-Marufuji match at King of Pro-Wrestling next month. 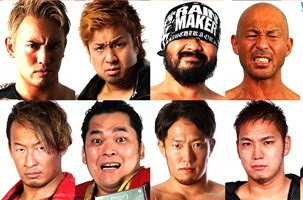 NOAH has the far stronger team, with the NOAH ace plus the GHC Jr. Tag Champs on board, while Okada has a second-tier stablemate plus the bookers of both companies on his team. Gotta go with NOAH here. This should be a helluva contest, setting up Naito as the new Intercontinental standard-bearer. It seems pretty clear this will lead to Naito vs. Tanahashi at WrestleKingdom, but I'm not sure where Elgin goes from here. Maybe to the NEVER Title hunt? He'd certainly be well-suited for that belt. Likely a **** main event to close out the three-show series. Landon's pick: Michael Elgin. 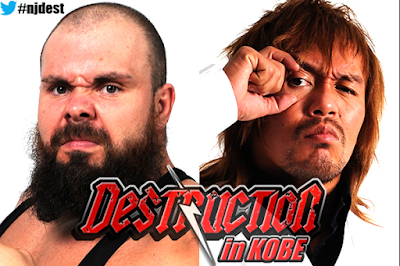 It’s not usual that I contradict Justin on major match results, but I don’t think Naito is going to win here. For multiple reasons. Naito and Tanahashi is an issue that doesn’t need a title to be on Wrestle Kingdom. The history is there and the situation can be pressed between Naito’s faction and the company men that the resolution can be valid without the intercontinental title on the line. On top of that, Elgin as a champion is too valuable for the company to not have. He is not only willing to travel internationally, but DOES SO already. Having a travelling intercontinental champion is a good marketing and PR for New Japan itself. Plus, and probably the most annoying for me, EVIL pinned BOTH Elgin and Shibata, and it seems like no one is jumping to give him a title shot at EITHER. I think we’re seeing EVIL and Elgin at King of Pro Wrestling.